I’ve been a writer for as long as I can remember. Long before I was willing to acknowledge it. It started with submitting my poems and essays to local community magazines while growing up, to later writing for the school magazine, editing a high-school weekly journal and eventually choosing Literature as one of my three main subjects in college. I then dabbled in an exciting (but exhausting!) career in copywriting with multiple big and small agencies between 2006-2010 before I moved to Goa in 2010 with my husband, seeking a quieter, simpler life. I had two of the most fruitful professional years here, working in a communication agency. Life in Goa gave me the space, freedom and most importantly, the stillness and solitude, to explore other interests and find multiple means to enrich myself. In 2012, I opted out of full-time work and copywriting to focus on other forms of writing as an attempt to flex my writing muscle, writing about things that excited me (as opposed to what a brand or a client expected of me). I wrote a moderately successful (and now defunct) food-blog for six years, and ran a small home-baking business for a couple of years alongside freelance writing. Eventually, I launched my career as a full-time freelance writer in 2014. This work-style allows me ample creativity and flexibility to write about a variety of topics close to my heart – life and living, travel, food, art and stories about people, especially women. 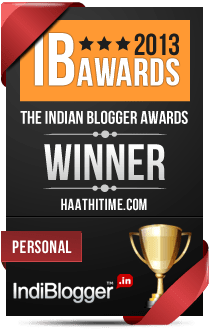 I have had bylines appear in Live Mint, Conde Nast Traveller India, BuzzFeed, The Telegraph, The Hindu, VICE, The Establishment, Times City, and Huffington Post, to name just a few. You can see a complete portfolio of some of my recent work here. I was also featured in an anthology of essays along with 100 other women writers in GUSH: Menstrual Manifestos Of Our Time, published by Frontenac House, Canada. Halfway through 2017, I moved cities and decided to live between Bangalore and Goa. My other interests include reading, dabbling in my kitchen, fitness and cycling, photography, reading tarot and oracle cards, and alternative healing and therapy. I’ve been writing this blog for well over a decade now (nearly 13 years! ), and particularly after I quit social media in 2017, I’ve been making up for it by posting much too frequently here. Wow! I have been wanting to quit the job and take up freelance writing. I should say freelance journalism. But I really do not know when am I going to do that…. I just love your blog posts and I enjoy reading them….It’s motivating me to write more posts …Thanks ..Your posts are so lovely ……..!! hello beautiful soul.accidentally came here but i am glad.loved your posts. Thank you so much, Leah! That’s very kind of you 💚 I will definitely try and pay it forward, as soon as I find some time in the coming week. Your writing portfolio is really impressive……as well as the journeys that you took in life till now……will be following your blog more to find out more about your daily existence…..:)….all the best….. Thanks for writing in Priya! Hey. I came across your blog through several clicks. I am not certain, but I think it started from Archana’s kitchen. I started reading the initial post and then ended up enjoying them so much that I had reached back to 2014(I think). So I thought I will let you know. I am not trying to creep you out(I was waiting to use this reference! :P), but your blog made me feel like I know you already. Not creeped out :) Thanks for delurking and leaving a comment – nobody does that anymore! I know u’ve been busy but if u have time, do hop on my space. Btw, a small request: Howz bout doing a small guest post for my blog? Do lemme kno if you have time and also planning to make a request for ur interview on my blog. Just no time for my own blog right now Vishal, dont think I can do justice to anothers by way of a guest post. And why on earth would you want to interview me?!!! Ok I understand. Not an issue. Have been doing interview of fellow bloggers whose work I enjoy. Anyways. Thanks and not an issue. I understand. You know I use to bang my head trying to figure out the single-biggest calling in my life. But I soon discovered there isn’t just one calling. So I stopped looking & started living in the things present at hand, writing, for instance (now). And when my head is in the clouds, I dream of white elephants! You are living my dream! I completed my higher education in goa(i know sounds like an oxymoron) and those two years were perhaps the best in my life. Just came across this blog. My weekend is set. Keep writing! Hey! Having spent a lot of time on your site in the last couple of weeks it makes sense to write to you and not just be a stalker :-). I just love the way you write! You will see me here more….and thanks for adding me on instagram, was keen on seeing goa as you see it. When I was 18 and had no idea what I am gonna do, I thought I had time. When I was 20 and still had no idea, I panicked. Haha, its always nice to meet other WIPers :P Welcome to the club. Okay – this could be me writing these lines – There’s a reason why I still cant decide what my single-biggest calling in life is. Is it music? Is it writing? Is it art? Is it photography? Is it travel? Is it cooking? Is it bumming around and doing nothing? Yep, I can’t decide. Why thank you :) its always nice to get some old fashioned encouragement from a blogger whos already been there and done that! I think deep down we’re all beach bums at heart. And no matter what we do we come back to the same needs. Hey i was jus searchin for Cafe’ Tato pictures n i found one of ur pics in ther… u n udaya!! arrey wah, now this is a surprise!